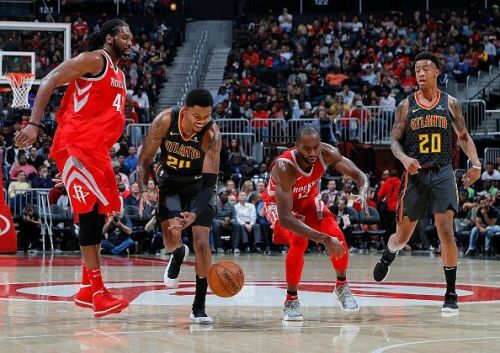 The Atlanta Hawks will host the Houston Rockets at the State Farm Arena in Atlanta on Tuesday, March 19th, 2019. These are two very different teams heading in two very different directions. The Atlanta Hawks are 24-47, which is not a good record, but they have played better in the last month or two. It means they may have played themselves out of the top three regarding the lottery draft for 2019. The talent that may be available at the 2019 NBA Draft is widely considered mediocre except for perhaps the potential top 4-5 picks. Atlanta's slightly improved play has meant they might not get a shot at potential collegiate stars Zion Williamson, R.J. Barrett, or Ja Morant to pair with this year's rookie sensation Trae Young. The Hawks are 12th in the Eastern Conference and just 13-21 when playing in Atlanta this season. Their opponents, the Houston Rockets, had some early turmoil this season but are back on track. It took MVP quality play from superstar James Harden who put this team on his back shortly after the Christmas holidays. 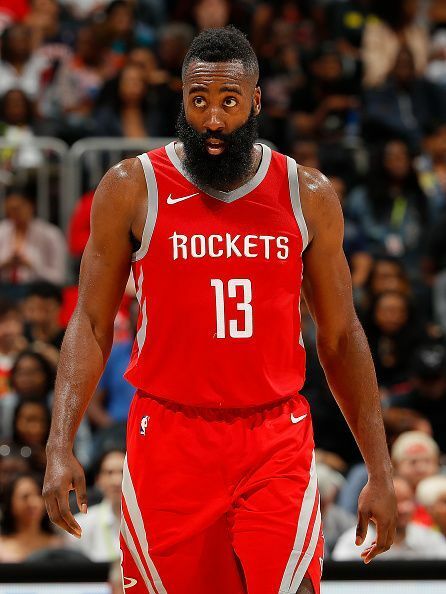 At various times the Rockets were without Eric Gordon, Clint Capela and point guard Chris Paul and Harden scored 30 or more points in 32 consecutive games helping his team to 3rd in the Western Conference with a 44-26 record. They are 18-16 on the road. The Rockets are 9-1 in their last 10 games, with the only glitch a 2-point loss to the Golden State Warriors 106-104 on March 13th, 2019. They have also won their last 5 road games. Head coach Mike D’Antoni will like start G-Chris Paul, G-James Harden, F-Eric Gordon, F-P.J. Tucker, and C-Clint Capella. Head coach Lloyd Pierce will likely start G-Kevin Huerter, G-Trae Young, F-John Collins, F-Taurean Prince, and C-Dewayne Dedmon. The road team in this matchup is the Houston Rockets and while they do have a winning record on the road, it's 18-16 this season. While this may still be a hangover from their early-season struggles, great teams win on the road. The Rockets are 28th in the NBA concerning assists. The combination of Harden and Paul distributes nearly 16 assists per game. In a victory on Sunday night against the Timberwolves, Harden and Paul recorded a combined 45 points and 20 assists. Harden and Paul are great facilitators of offense. They combine for 36-37 shot attempts per game (Harden takes twice as many shots as Paul) which accounts for 42% of their team’s overall shot attempts. Harden leads the Rockets with an average of over 35ppg and Paul is third on the team with 15.7 ppg. Two areas that the Rockets may struggle with is their love of long shots and turnovers. First in the NBA in 3-point field goal attempts at 44.1 per game, the Rockets, are 21st in 3-point field goal percentage. The Hawks coaching staff should be looking to devise defensive schemes forcing the Rockets to shoot from long range. They will also want to put pressure on Paul and Harden, in particular, when they are handling the ball. Harden averages 5.1 turnovers per game. Understanding that the ball is in his hands a lot, Harden is susceptible to mistakes. The Hawks forcing that issue with Harden will be easier said than done. 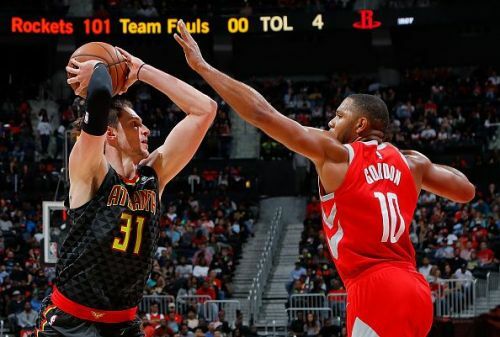 The Atlanta Hawks are overmatched most nights and facing the Rockets is no difference. Rookie Trae Young has improved as the season has progressed. He is currently averaging 18.4ppg and 7.7apg. However, going forward, Young needs to improve his shooting efficiency. He averages 15 field goal attempts per game but shoots 41% overall and just 33.5% from behind the 3-point arc. Once Atlanta finds young an offensive talented running mate, things may improve. Until then, that help comes in the form of John Collins, who is averaging 19.7ppg on 13.5 field goal attempts per game. Young also needs to clean up the mistakes, averaging 3.9 turnovers per game. This is a team issue as the Hawks rank 30th out of 30 teams in turnovers per game at 17.6 every game. The Hawks also struggle to defend. This is a problem against a team as high octane as the Rockets. The Hawks are giving up the 2nd most fouls in the NBA, they are 14th in defensive rebounding, and the Hawks give up the most points per game in the NBA at 118.5. The side effect of all of this is James Harden gets to the free-throw line over 11 times a game and is 87.6% from the charity stripe. Clint Capela hauls down 4.6 offensive rebounds out of 12 plus rebounds a game and the Rockets do average 112.9ppg. Ultimately, the Houston Rockets are headed for the playoffs and the Hawks are really only playing in part to determine lottery position. While no one likes to admit a team should tank its games or season, winning does not help the Hawks. This game will likely provide the Rockets with their 19th road win of the season by 15 or more points.